Cute look. Love your pink coat. This is such a chic look! Love those sleeves on your top! Have a great weekend! Ha, I am wearing bell sleeves too today! Great look Rachel! Coolest top! Love the choker trend. Perfect with your flares. What a chic, sophisticated way to do flares and bell sleeves! Great price point on the top too. It's SO perfect! Such a mod and sophisticated look! I like bell sleeves in theory, but I couldn't wear them as they would always get in my way. Fabulous look! 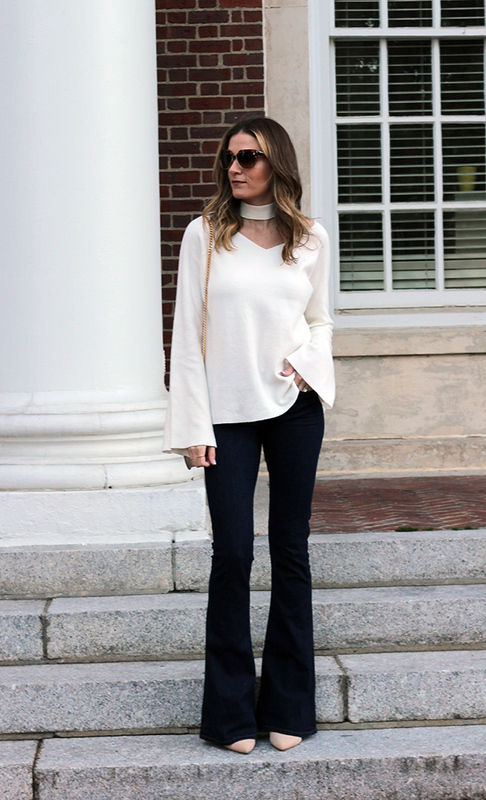 I love the bell sleeves top with the flares! This sweater....I LOVE it! You nailed the minimal chic look. Hope you have a great weekend and thanks for co-hosting the link-up! 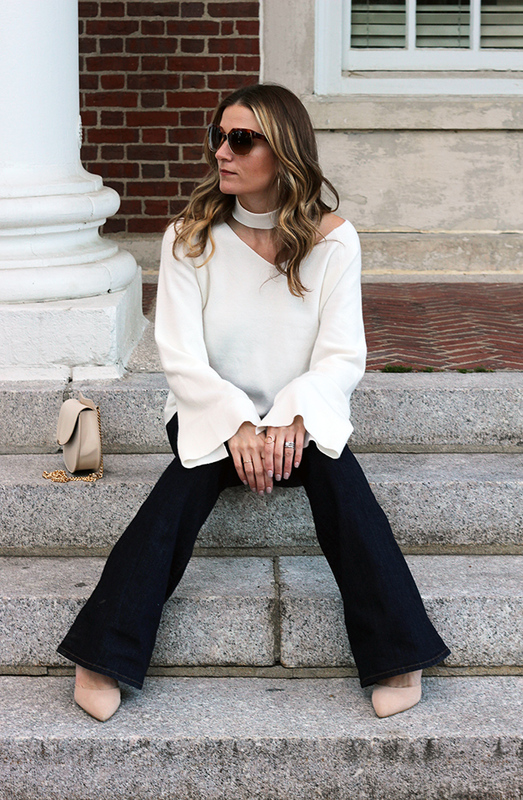 Oh, these bell sleeves with your flares are a match made in heaven! Fantastic and chic look. The bell sleeves and flares look great together! A perfectly balanced outfit combo! How lovely to see the shape of your sleeves echoed in the cuffs of your pants :) I don't think I'd personally be able to pull this look off, being short, but it's a visual delight to see it on you!! Flares are amazing on you! But seriously-I want the whole look! Love it! I love how a good pair of heels under bell bottoms really shape the look. That such a lovely and chic outfit! Bell sleeves are so romantic looking so it is hard not to love it! This top and those jeans go perfect together! 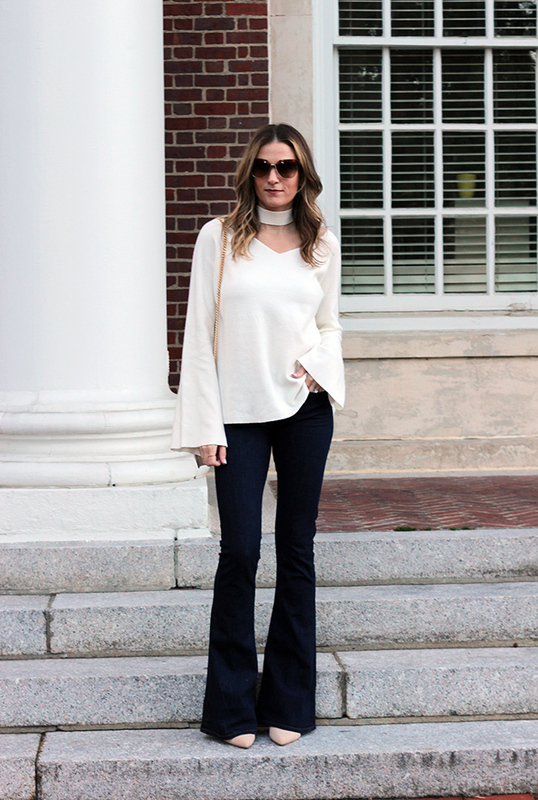 I am always a little nervous to try out bell bottoms, but this looks really clean and chic! That's a good point! You have to be careful to not muck up that gorgeous top when you eat! I love this retro look on you. And the flares seriously make it look like your legs never end! You look stunning and elegant! Way to pair those two pieces together! Loving the silhouette of the sleeves + jeans together! Ok these sleeves and the flares are the perfect combination!! 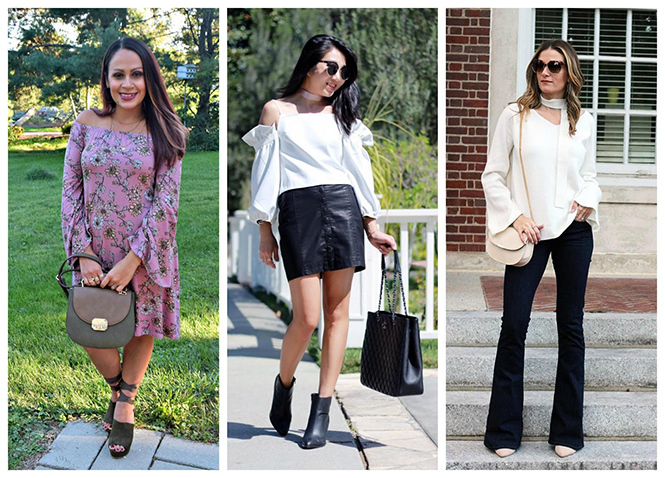 LOVING the bell sleeve trend! Such a classic look on you. You look amazing in those flares! I have always loved bell sleeves. Love them even more now. The only downnside to them is getting them in our food lol. That top with the built-in tie is beautiful. 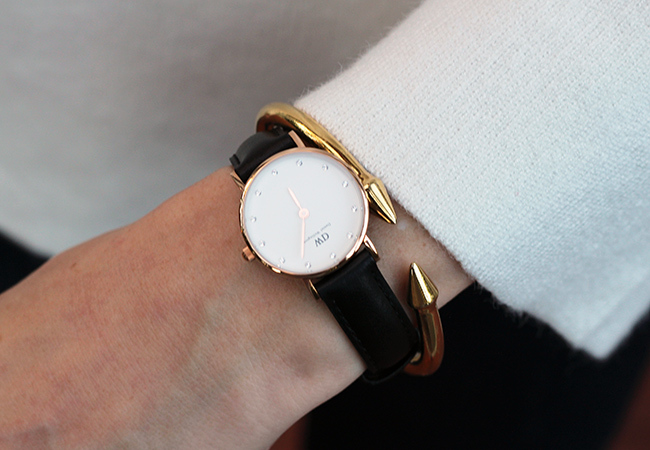 Love love the sleek watch and those neutral pumps, too.